GIMP Forums / GIMP / Show Off / Pieces of a memory! Using the select tool in addition mode to create puzzle pieces and a layer mask to hide unwanted parts of the picture. 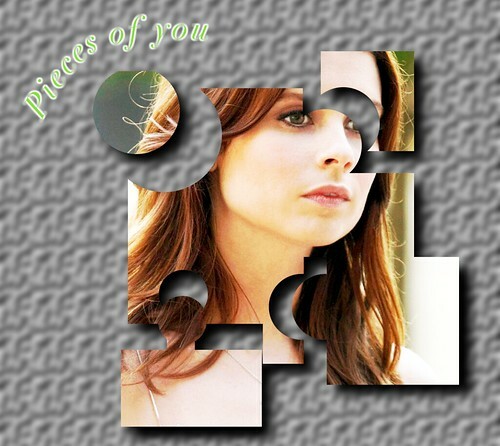 Adding a drop shadow and a divide layer the the puzzle pieces to increase the lighting within the picture. And, using a text along a path with a feathered and one gausian blur effect on the copies of the path. I came up with this! Hope you like it. It is all part of a video tutorial that I will be doing soon on passepartout cutouts. RE: Pieces of a memory! (Sep 27, 2011 09:52)diginin Wrote: Using the select tool in addition mode to create puzzle pieces and a layer mask to hide unwanted parts of the picture. Adding a drop shadow and a divide layer the the puzzle pieces to increase the lighting within the picture. And, using a text along a path with a feathered and one gausian blur effect on the copies of the path. I came up with this! Hope you like it.